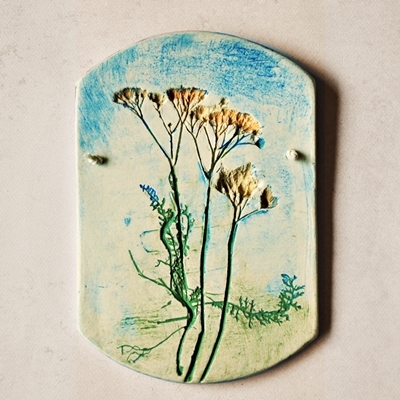 A pretty wall plaque for almost any décor, with wild grasses, yarrow, elm and maple leaf impressions. Order it in any number of glaze colours or matte washes over white stoneware. (Send a request via email). Measures approximately 8″ high. Ready to hang on your wall. Three oak laves adorn this round plaque. 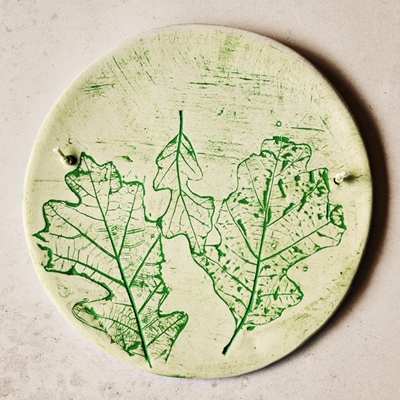 Leaves were impressed into stoneware clay, then kiln fired, and fired a second time after applying an oxide wash for colour. Can be ordered in other colors. Each hanging is one of a kind, so expect variations in leaf size and placement. Measures approximately 5″ in diameter. 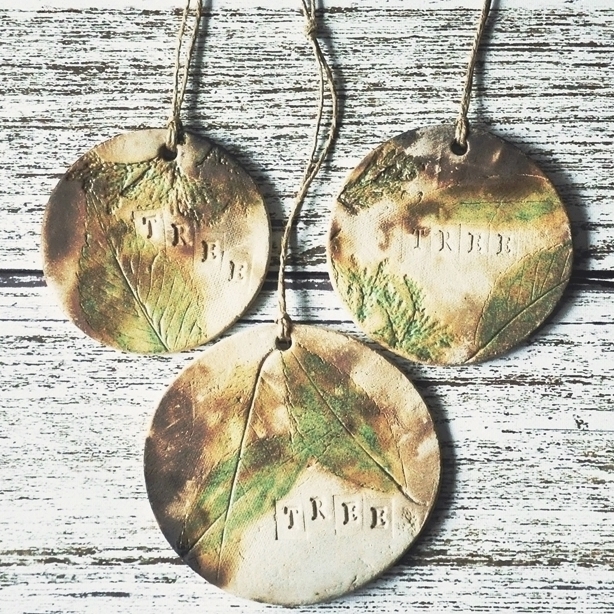 Rustic wall hanging with the word “TREE” stamped in and accented with elm and cedar leaves. The leaves have been glazed green. The unglazed parts take on the smoky finish from the pit firing process. Each is one of a kind. 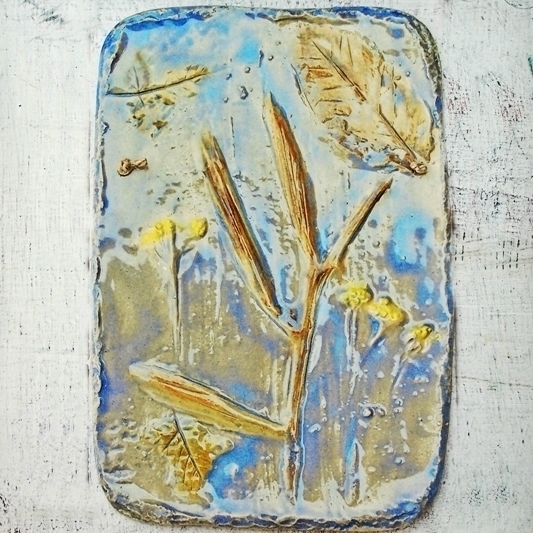 A real Yarrow plant has been impressed into white stoneware clay, and coloured with various oxides. This little wall hanging can be ordered in other colours. Larger sizes can also be requested. Yarrow has many medicinal uses from stopping bleeding to curing colds and more. It has a number of powerful magickal properties associated with it too. Measures approximately 3.25″ wide by 4.75″ high.